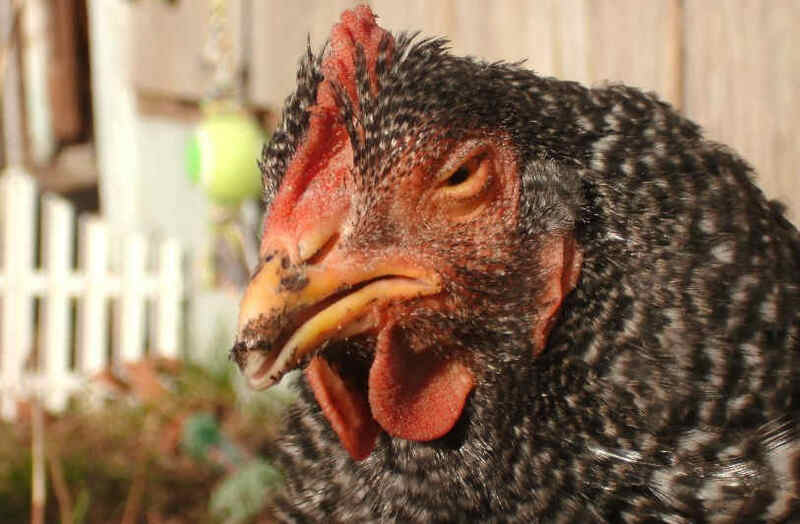 ​Chickens are usually found in homes and poultry farms. They are regarded as very familiar domestic animals. Sometimes, they are reared in homes as pets and in poultry farms by business entrepreneurs for commercial purposes; hence, their importance to mankind. They come from a number of different breeds or species which is responsible for the differences observed in their growth and development process. This equally accounts for the differences in the age at which some of them mature and start to lay eggs. 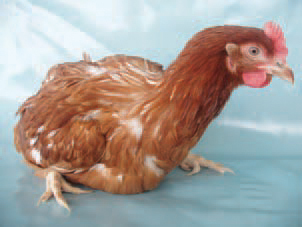 While Dominique’s species start to lay eggs between four and five months, the ones known as Rhodes Island Reds may start to lay eggs after attaining about eight months of age whereas, those called Lighter Weight breed may even start to lay eggs earlier. 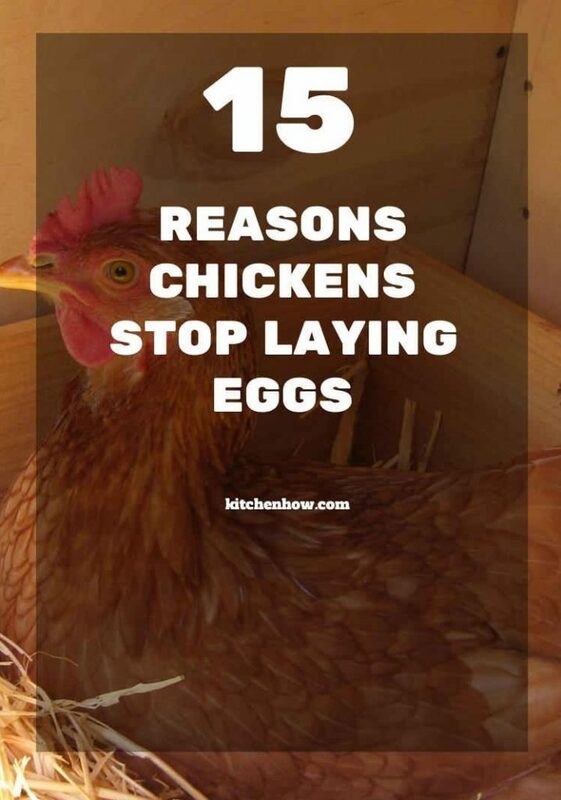 However, as they start laying eggs, their productivity could be hampered by some prevailing situations which constitute the reasons the females commonly called hens stop to lay eggs some of the times. Such reasons are indicated below as well as the accompanying solutions to each of the problems identified. ​As a result of the physiological differences among the various species of chickens mentioned above, each species of hens are born with definite numbers of ova very tiny in size. 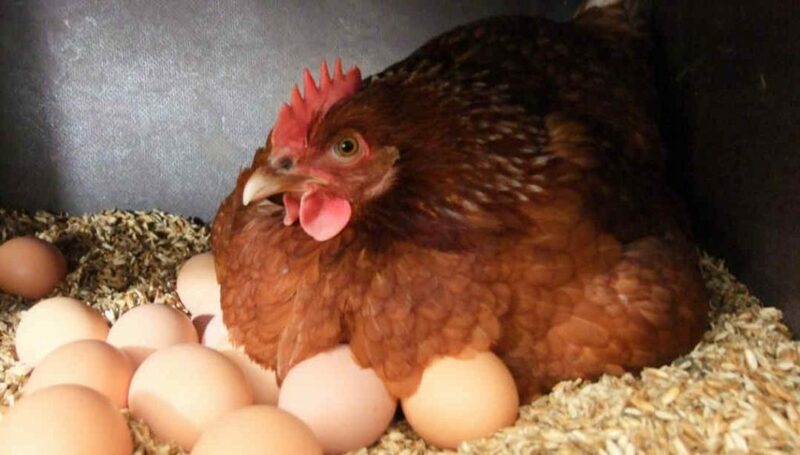 Consequently, the various species of hens have different capacities for laying eggs in their lifetime. While some have the capacity to lay 1400 eggs in their life time, others can lay up to 1600. Besides, they have varying numbers of eggs they can lay per annum. While the White Leghorns species lay up to 280 eggs in a year, the Barred Plymouth Rock species lay more than 280 per annum. Again, while the Rhodes Island species lay up to 260 eggs in the year, the Golden Comet can; lay as many as between 250 and 300 eggs per annum. Yet, other species come with their different respective quantities of eggs they can lay in the year. In the light of these vagaries in the number of inherent ova each species has, the quantity of eggs each species could lay in their lifetime and respective quantities of eggs each species could lay per annum, the species that can lay greater quantities per annum have the tendency to exhaust their life time quota earlier than those that lay fewer quantities in a year; hence, they lose their ability to lay eggs even when other hens of the same age but from different species are still laying eggs. However, each of the species ceases to lay eggs as soon as their life time endowed number of ova gets exhausted too. Therefore, no matter the species of a hen, it has limited quantity of eggs that it can lay in its lifetime and could not continue any time it exhausts its ova. ​Since the various species of hens are born with definite number of ova which, in turn, controls the quantity of eggs they could lay in their lifetime time as well as the time it will take each of the species to exhaust their respective quantities and become unproductive, there seems to be little or nothing one could do to revert the situation. This is so because it is a natural phenomenon. As a flock could comprise of varied species, the breeder should be watchful and identify hens that have ceased to lay eggs entirely and could then take any other desirable actions from the subsequent ones below. Dispose of those identified as unproductive by sending them out to chicken retirement homes; sell them off or slaughter them for meat. Retain the redundant hens if the flock was initially kept as pets. Replace the redundant quantities with young chickens from notable hatchers and breeders. Endeavor to make your choice from among the preferred species if replacement is the option chosen. 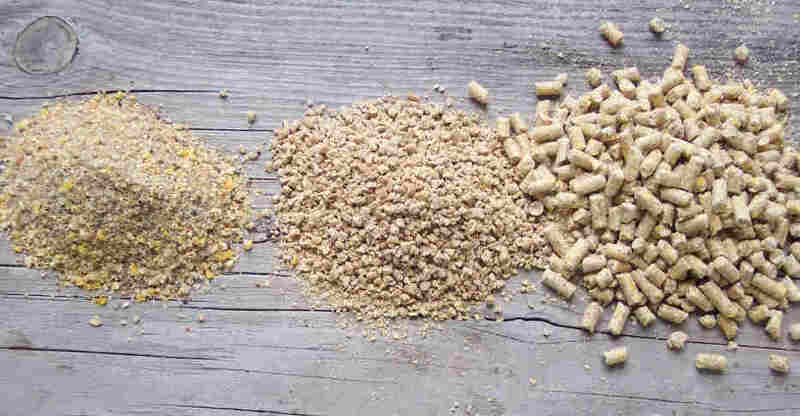 ​The feeds meant for chicken, particularly, the hens should be of high quality. Essentially, the feed for layers should contain a high percentage of protein and calcium and should be spiced with other supplements such as pumpkin seeds, high protein treat, laying pellets and eat worms. If and when their feeds lack the required nutrients, their ability to lay eggs as and when due will be adversely affected, thereby causing a drop in the productivity of the hens or outright stoppage of egg-laying. 5. Inadequate Daylight and High Summer Heat. ​For the reduced hours of daylight during the winter; place lamps or artificial light set with an automated timer in the cage of the hens. It will boost the daylight as well as the level of productivity of hens. 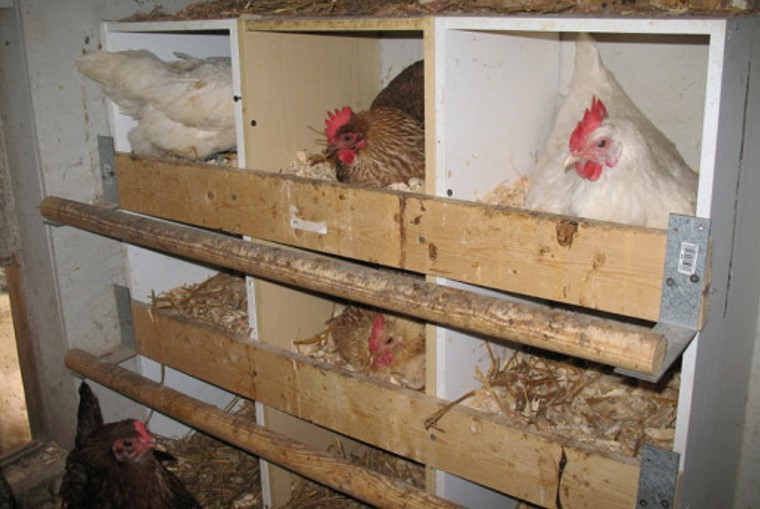 In order to mitigate the adverse effects of the summer heat; ensure adequate ventilation of the cages within their homestead to let in fresh air that would douse the heat level and its adverse effect on the hens. 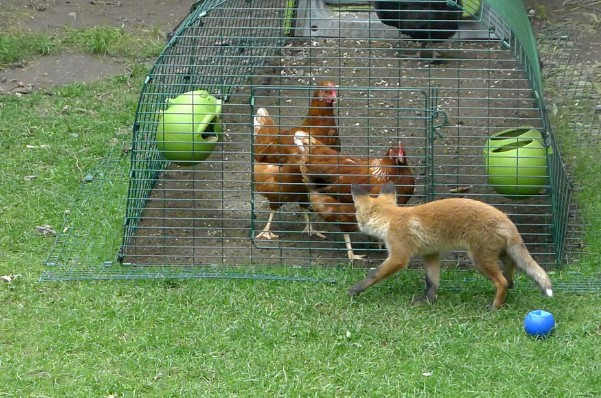 Ensure that predators such as stray dogs, hawks and other animals, whose presence could frighten the chickens, are kept out of the environment. Prevent children from playing within the chickens homestead. Limit loud noise and movement of vehicles around your flock to prevent frightening the hens. Arrange for a sizeable number of roosters within their homestead; the presence of the roosters tends to offer protections to the hens. 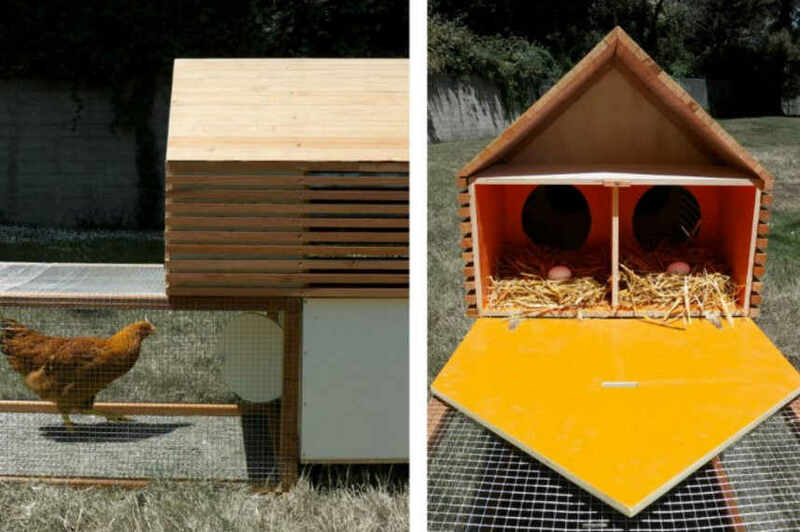 ​Chickens are lovers of a stable environment and feel safer and more relaxed within such a setting. They feel a bit rattled when new additions are made to an existing flock. 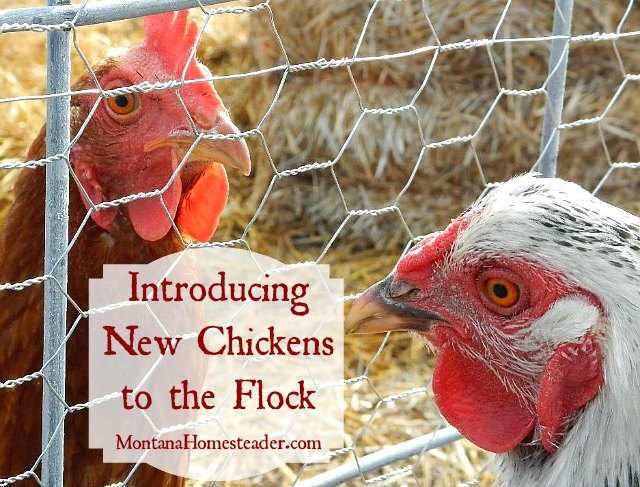 During the process of introduction of new chickens, there could be some shoving and other forms of movements and adjustments for the first few days. ​The breeder should make conscious effort to ensure that the introduction of new chickens to an existing the flock should be well planned ahead of the time so that the process actually lasts for a few days. Besides, the breeder should tolerate the shortfall as it is white inevitable, particularly, when it is imperative that the redundant old hens should be replaced with new chickens in order to shore up the depleting productivity of the existing flock. Many poultry diseases such as avian influenza hamper hens from laying eggs. Others include bird flu, respiratory viruses, parasites such as lice, mites, worms and some others. Look out for possible symptoms such as dull and listless appearance, breeding through the nostrils, watery eyes, lameness and death of some of them. When any or some of these symptoms are observed, call the attention of a veterinarian for proper diagnosis and treatment. Quarantine the infected birds to safeguard the healthy ones. 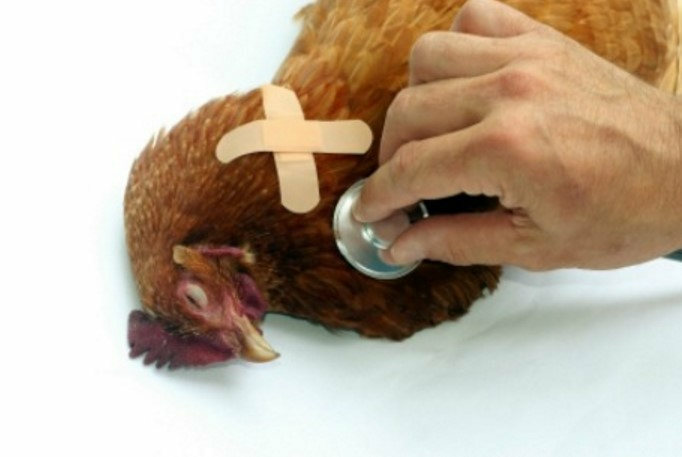 Replace the dead with young ones from a reputable hatchery and do not replace with adult chickens bought from other breeders. ​This is a natural occurrence; there is nothing one could do to stop the chickens from undergoing this process that allows them to rejuvenate and become better for it to continue their egg-laying thereafter. 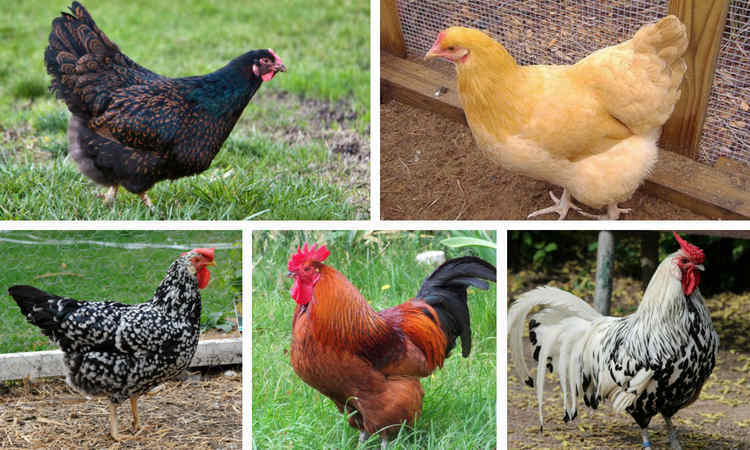 ​Chickens require sufficient place for them to roam about and function optimally. 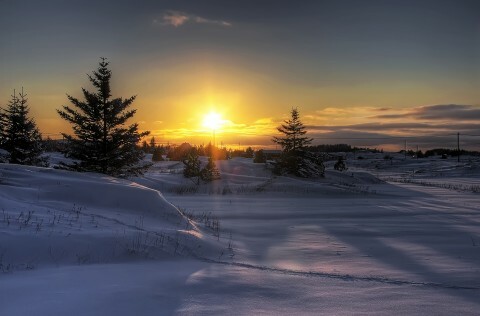 In a situation where there are many hens in a coop or cage, they will hardly lay eggs. Similarly, hens that are reared in a free-range require adequate space within their homestead in order to lay their eggs unhindered. 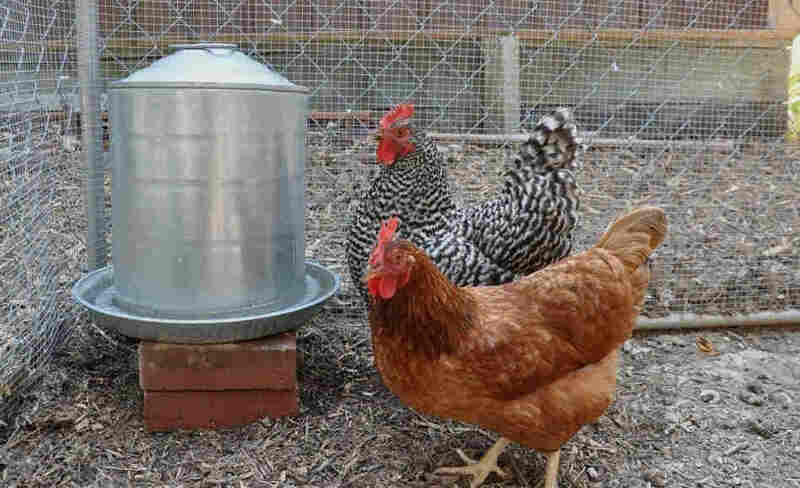 ​Chickens love to see their feeders filled with their normal feed, even when they are not hungry. 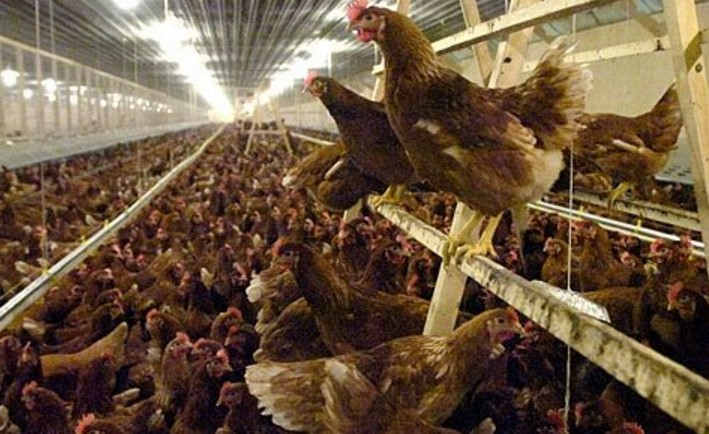 In this way, they derive the impression that they would have enough to eat all the time; hence, they remain in happy mood most of the times and become predisposed to their normal egg-laying function; otherwise, there is the tendency for them to think that they might be subjected to starvation any time which could stress them. ​In order to avert the negative impression the hens could derive from seeing their feeders empty and the resultant effect it could have on their productivity, efforts should be made to ensure that the chicken feeders are not left empty most of the times. ​During the summer period, laying eggs by chickens comes to its peak. Within the tail end of this period, the hens would start to experience fatigue. This has the tendency to affect their productivity level. ​Natural justice, in this regard, demands that the hens should observe some rest period to allow them to recuperate and bounce back to their normal productivity level thereafter. However, the breeder should acknowledge the necessity and assist the hens by ensuring that they are well fed with quality food. In this way, the temporary drop will be overcome within the shortest possible time. ​In keeping with all that have been explained at the beginning of the first part of this write-up, the issue of the determination of the time chickens start to lay eggs, the quantity of eggs they can lay in their lifetime or in a year as well as the time they can stop laying eggs, depend much on the various species of the chickens involved; hence, the question on” how long do chickens lay eggs” is subjective. This is more so as it has been explained that the various species of chickens are born with different traits, specifically, being born with different specific numbers of tiny ova which accounts for other peculiarities such as the ability to lay different quantity of eggs in their lifetime as well as in the year. /Based on these notable existing basic differences among the various species of chickens, it follows, therefore, that the issue of when, how and how long chickens lay eggs lacks uniformity due to these different natural endowments of their respective species. Similarly, it follows too that the productivity pattern of f the hens which come from different species of chickens cannot be expected to be homogeneous because of these fundamental functional differences among the various species. This explains further, why some hens lay eggs for two to three years and retire, while some others retire after laying eggs for three years. Besides, it also explains why some hens lay eggs for between five and seven years before they eventually stop. It is even not unusual to see hens that can lay eggs for up to nine years before they become unproductive. 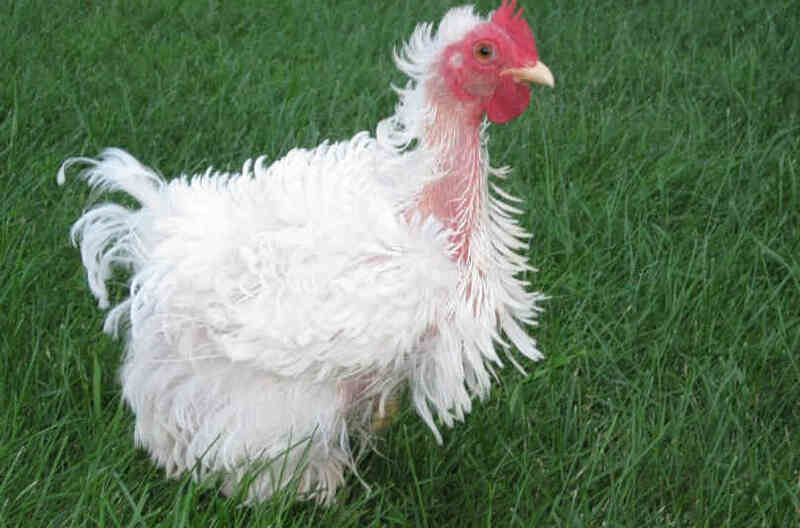 They are often found from a particular species known as Orpington. In the light of the foregoing, it could be deduced that there is no specific age at which hens start to lay eggs and there is also no definite period of time for hens to remain productive. On the average, a sharp decline in the productivity of hens become apparent after two to three years or even more; the older they become, the lesser the number of eggs they lay until the eventually stop to lay eggs entirely. 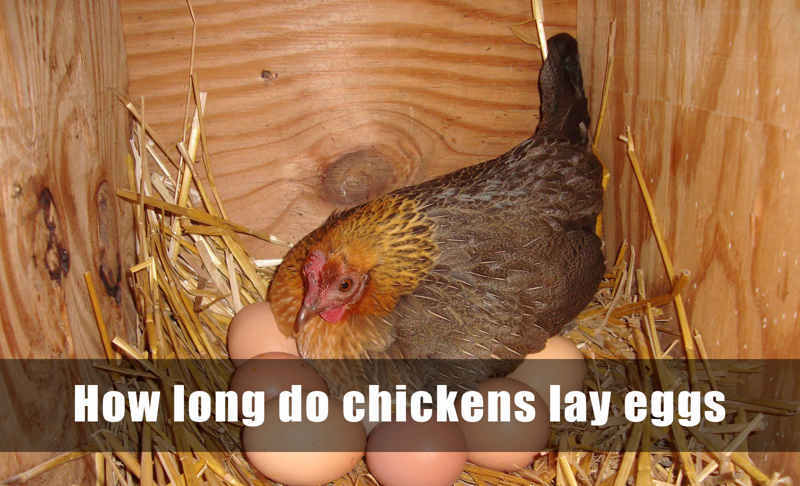 Therefore, how long chickens lay eggs cannot be determined irrespective of their species. I have particularly found giving additional light very useful. I made sure mine receive 16hrs light per day and it really boost their production.